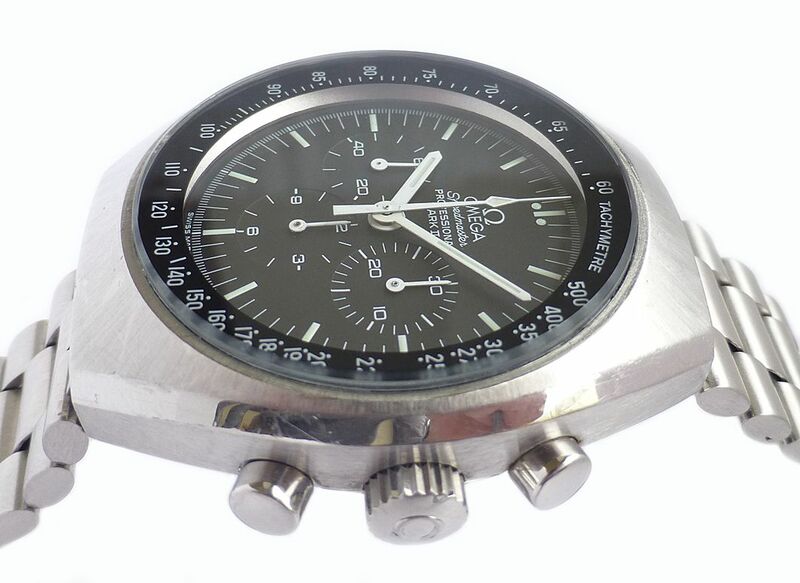 Excellent condition Omega Speedmaster MK II hand wound with Calibre 861 movement dating from circa 1972. 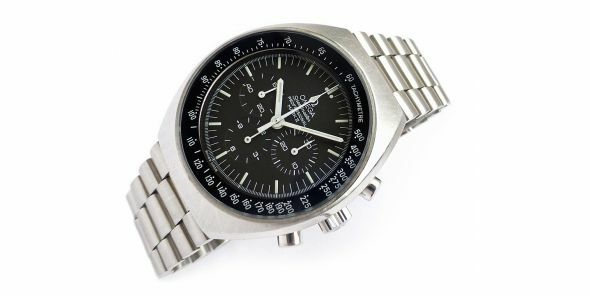 The watch has just had a full service and is in excellent working condition. 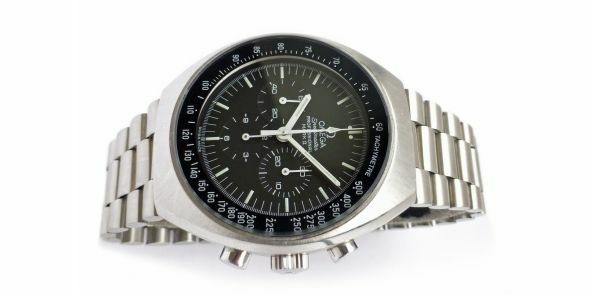 This watch was the natural evolution of the Omega Speedmaster moonwatch, but adapted to design and technology changes as the 1970â€™s provided radical new styling. 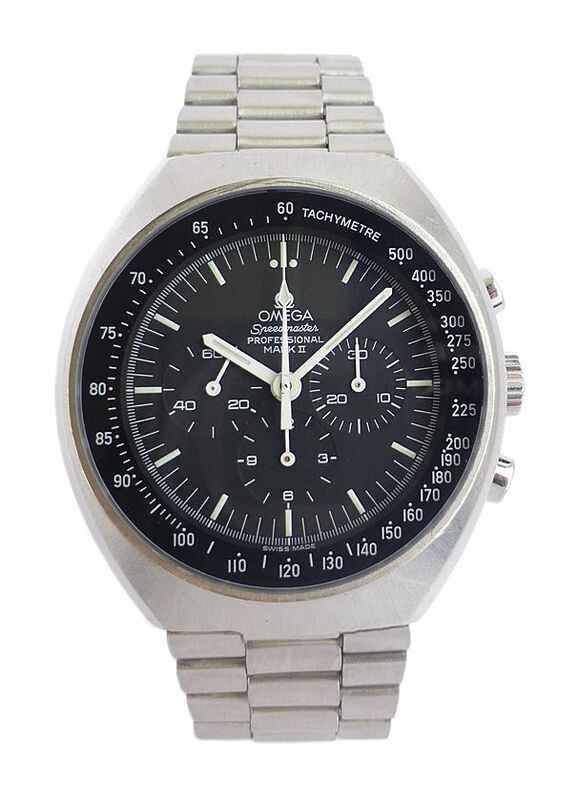 Many people say that the 1970â€™s watches like the Omegas are ugly, but they are badly misinformed and lack a sense of style â€“ one day they will come to their senses. 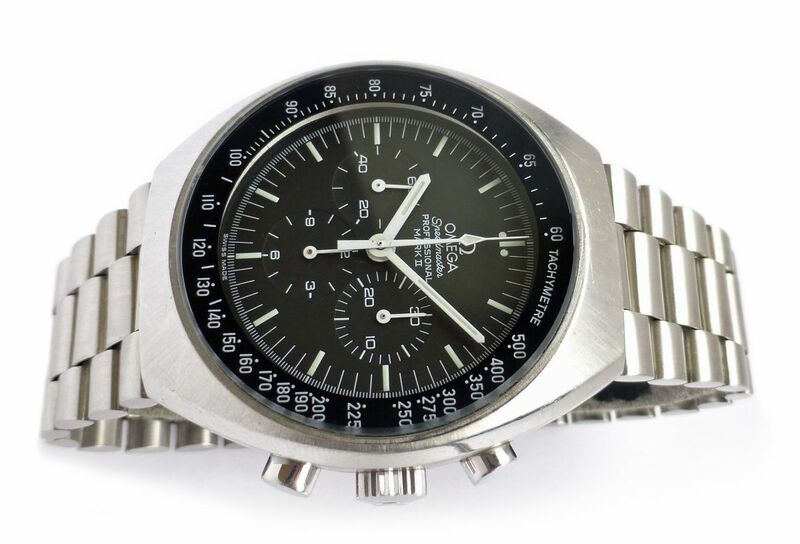 The 1970â€™s designs are iconic, stylish and beautiful and represent a symbol of their era. 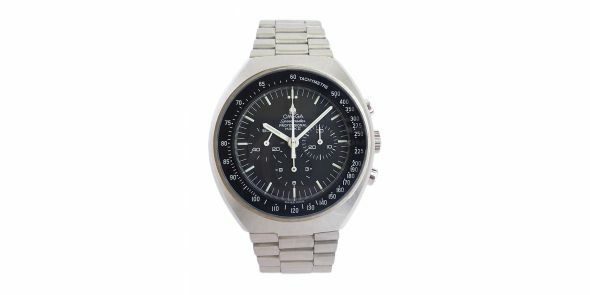 It utilised the same movement as the moon watch, used from 1969 until the late 1980â€™s. 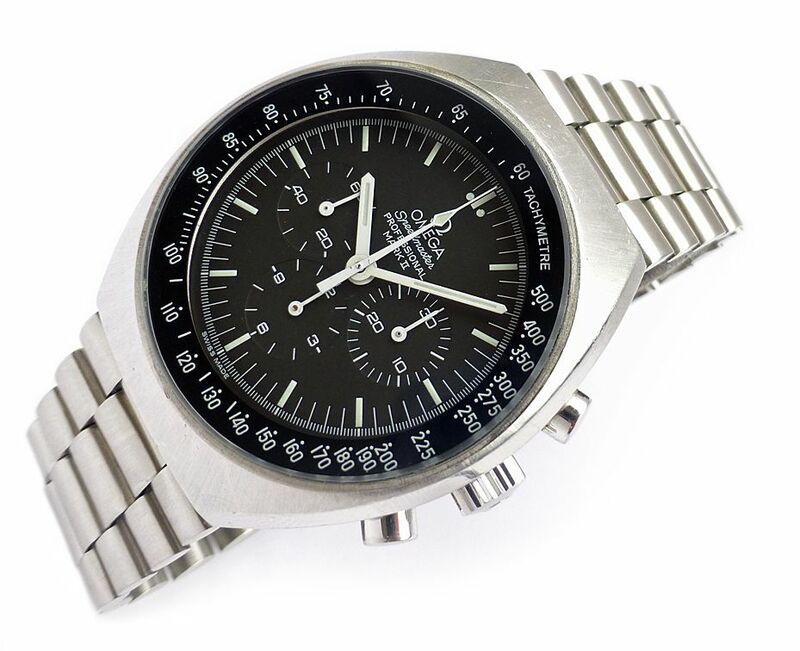 This is a very technical looking watch which has a lot of hands and a lot of functions. 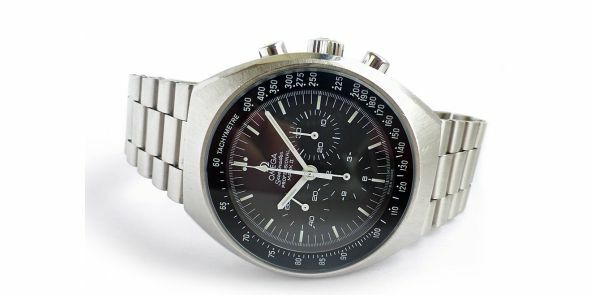 It is all stainless steel, very thick and heavy substantial watch, and is in the same case as the Omega Speedmaster automatic using the Calibre 1045. 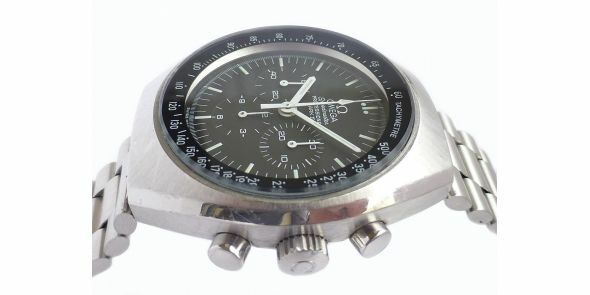 The sixty second elapsed timer is the large orange central sweep hand, and the thirty minute elapsed timer is the sub dial at the 3 position, also with orange hand, and the twelve hour elapsed timer is the dub dial at the 6 position. 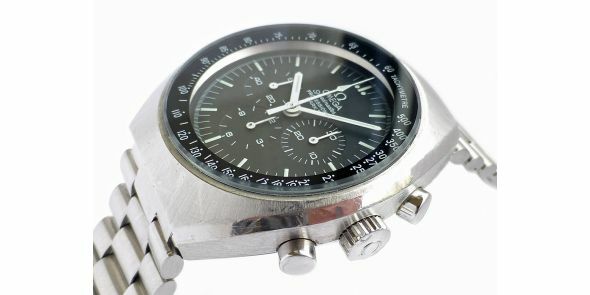 The dial can record to 1/5th second and for easy reading of elapsed time, it is broken up suing orange and white colours. All functions work perfectly and keeps good time. 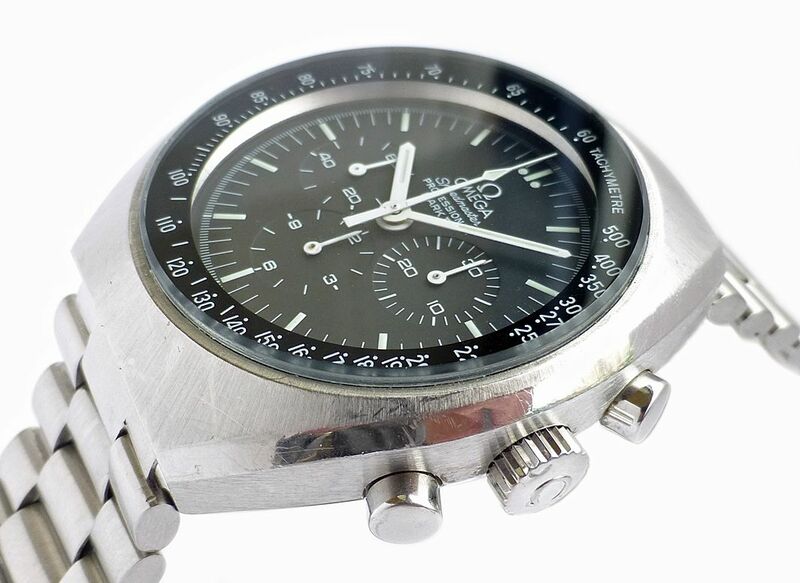 The crystal has some scratches, a good watchmaker can polish them out or replacement crystals can still be bought, but best left alone. Dimensions are as follows. 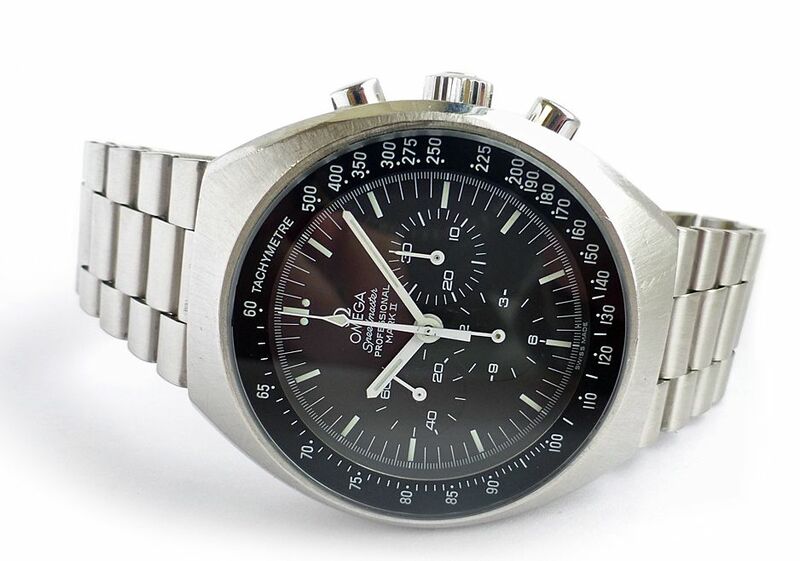 Width excluding crown is 42 mm, width including crown is 44 mm, lug to lug is 46 mm and thickness is 15mm.